That said, IDC's estimates seem off (or were misinterpreted) in a few places. For example, the Wall Street Journal quotes them as saying compact camera shipments declined last year but are expected to hit 130m units this year. That would represent a 30% increase in units from what was actually reported for 2011 by CIPA (the Japanese industry data clearing house), which I haven't seen anyone predict. So take numbers like this with a grain of salt. Another way to look at the numbers is that for every three DSLRs sold in 2012, slightly more than one mirrorless camera will also be sold. For every ~seven compact cameras sold one DSLR is sold. DSLRs are not dead, by any stretch of the imagination. The real rush to mirrorless is partly to get compact camera costs into more DSLR-like camera sales figures. 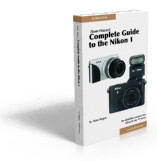 You see that clearly in the Nikon 1 line. Less than 300 parts in the camera and a very compact-camera manufacturing cost structure and style. Yet the V1 is more expensive at retail than two of the DSLRs that have thousands of parts and a lot more hand work in them. If Nikon can convince a compact customer to move up to a Nikon 1, they actually make more profit than they would if that customer picked the Nikon D3200 DSLR instead. Unfortunately, that increase in sales dollars is a temporary profit bubble. The more companies that pile more models into the mirrorless market seeking sales growth and margin, the more the bubble will deflate. As I noted in a previous article, the frequent iteration is already deflating previous generation inventory prices because the units didn't sell at the original price before the new version came out. Don't get me wrong. I 100% welcome mirrorless cameras. I have high hopes for their future. But the notion that they're the savior for all secondary players in the camera market is a short-lived one, I think. Continued rapid growth in mirrorless sales simply will make the Big Three in cameras (Canon, Nikon, and Sony) put more effort there. The good news is that Nikon picked the wrong sensor size, Canon hasn't entered yet, and Sony doesn't seem to know what to do about lenses. That's given Olympus and Panasonic plenty of time to create a shared platform that is quite robust and will almost certainly survive the oncoming onslaught from the Big Three.